Rookie Cards: Ray Culp, John Boozer, Dennis Bennett, Bobby Wine, Cookie Rojas, Billy Smith, Marcelino Lopez, & John Herrnstein. Additional Information: Topps recycled the design with its 2012 Topps Heritage set, and as part of that offering, Topps repurchased cards on the open market and utilized them as 1963 Buybacks inserts. Additionally, Topps reprinted the Frank Torre and Earl Averill cards for use in its 2012 Topps Heritage Real One Autographs insert set. The set was recycled in two other instances. Upper Deck’s 2001 Vintage utilizes a very similar design, and the 2006 Topps Wal Mart Chase Utley insert card (#WM17) utilizes the design, albeit poorly. Posts at The Phillies Room and 14,000 Phillies provide additional information on the set. Although it is well-documented, the Beckett Online Price Guide does not list the Jack Baldschun variations. Yesterday, Sean Forman announced the addition of a new tool to the incredibly awesome Baseball-Reference.com site — a tool that allows you to find all the transactions between two franchises. I decided to personally break in the tool by getting the full list of transactions between The Fightins and their current opponent, the Cubs. I did so knowing full well the nightmarish highlights — the fact that over the decades the Cubs had acquired for less than Jack got for selling the family cow literally stolen three future HOFers from the Phillies. Seriously, three non-magical beans would have been better than what the Phillies got from the Cubs when shuffling off those three players. Yet, although I steeled myself for the horror show, I was still unprepared for the depressing list I would encounter. The fact of the matter is that the Phillies rarely do business with the Cubs and come away a better team. 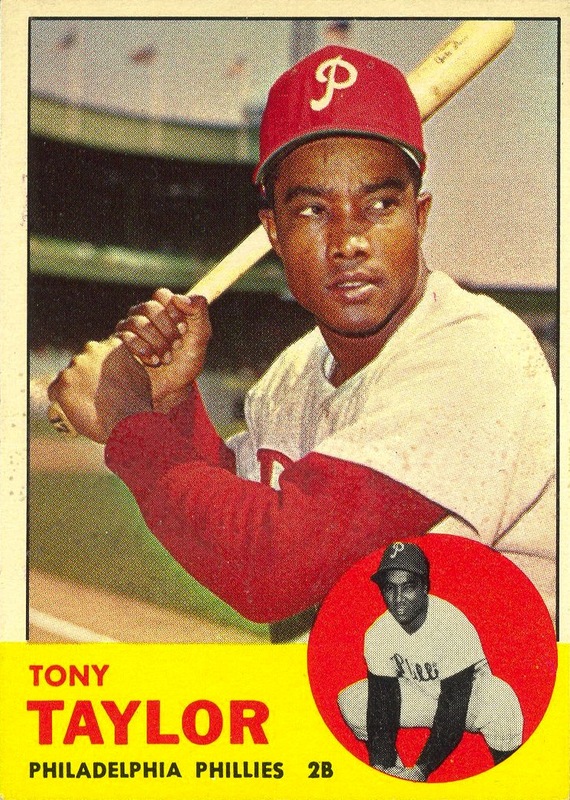 The most notable of the few times this did occur happened back on May 13, 1960 when the Phillies traded Ed Bouchee and Don Cardwell to the Chicago Cubs for Cal Neeman and Tony Taylor. 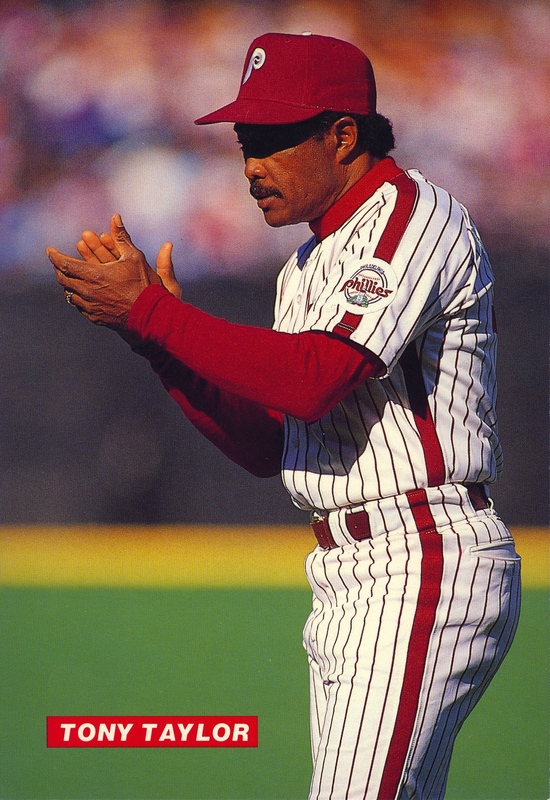 Taylor would go on to play 15 seasons in Philly (over two stints), become a fan favorite and eventually a well-regarded member of the coaching staff. I haven’t bother to do the research on Bouchee’s and Cardwell’s contributions to the Cubs, but I’m fairly certain that it’s safe to say their combined achievements while wearing a Chicago uniform paled in comparison to what Taylor brought to the Phillies. 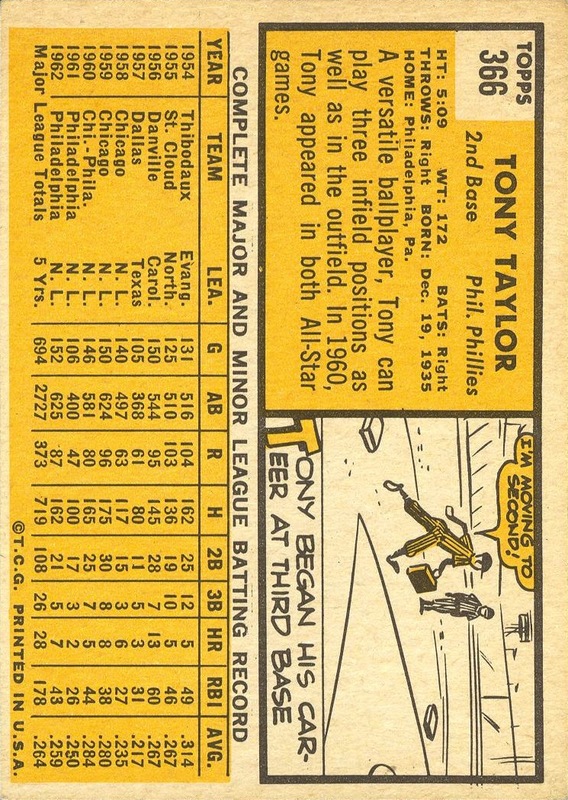 Yet, as much as he contributed, it is by no means a Hall of Fame resume — even if you combine the contributions of Doug Glanville and Manny Trillo (the other two notable trades where the Phillies came out ahead) what Taylor brought, you still don’t even come close to making up for any one of the unholy trio of disastrous trades the Phillies committed with the Cubbies. I hope you’ll forgive me for not mentioning any of those three trades by name.